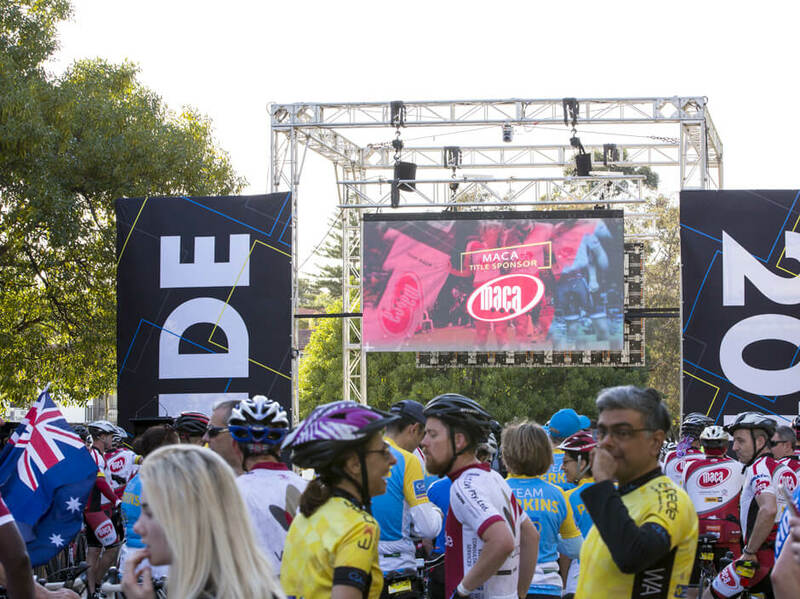 Ride to Conquer Cancer is an annual charity fundraiser held in various locations across Canada and Australia. 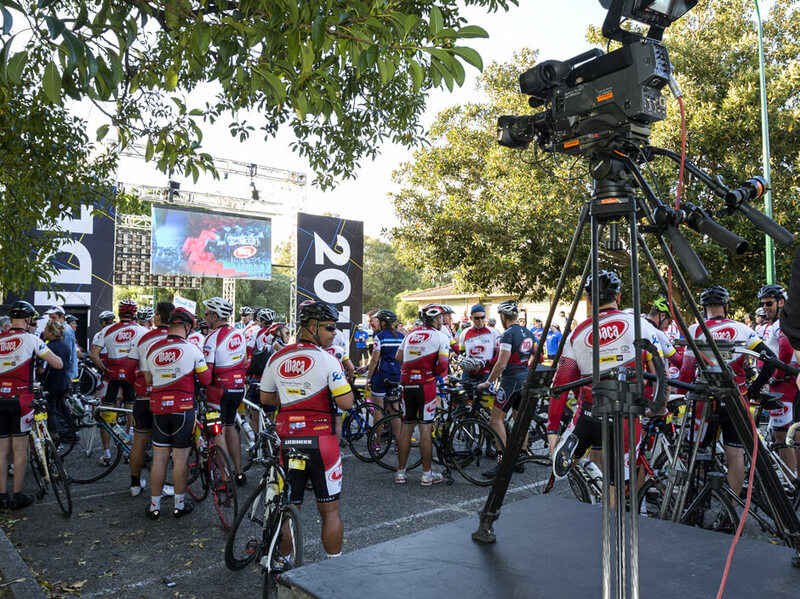 The race is organised as a non-competitive cycling event that sees thousands of riders’ travel over 200 kilometers over two days. 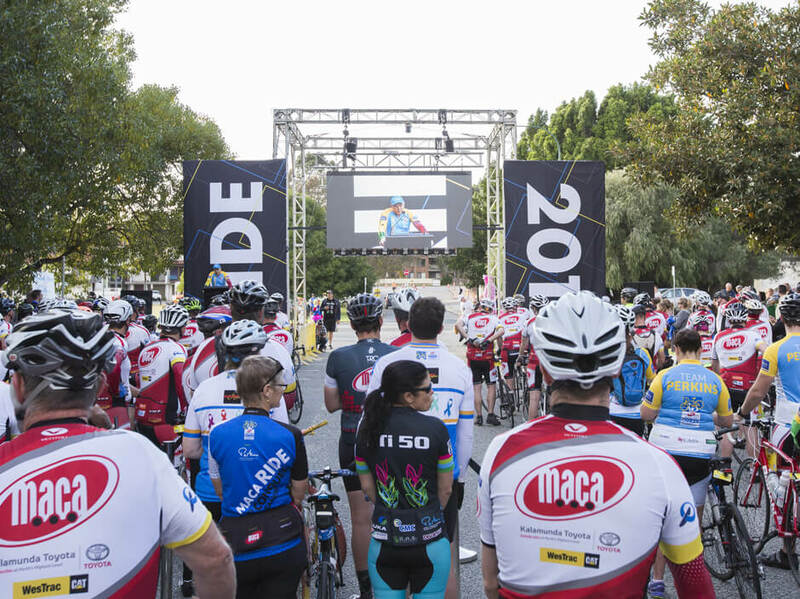 The Perth ride has approximately 1000 participants every year, raising on average $4 million annually for Harry Perkins Institute of Medical Research. The brief received from the client was to provide audio, site power, staging, LED screen & ground support and operators at both Ceremony and Camp sites. Norwest Productions provided a high level of production by utilising some of the latest technology available and by utilising the broad skillset of our team members. 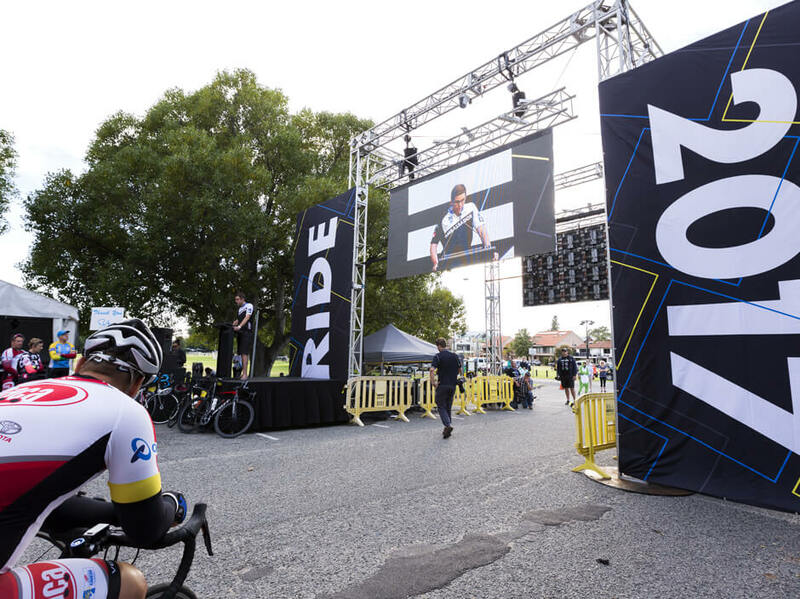 Norwest Productions installed a large truss cube with banner wings achieving a sophisticated look for the start and finish line of the race. This incorporated 2 large LED screen to display starting and closing ceremonies. Norwest provided a distributed audio system for both Ceremony and Camp sites allowing for clear announcements and speeches to be heard by the participants. A lighting system was also installed for the band stage at Camp for the live entertainment. 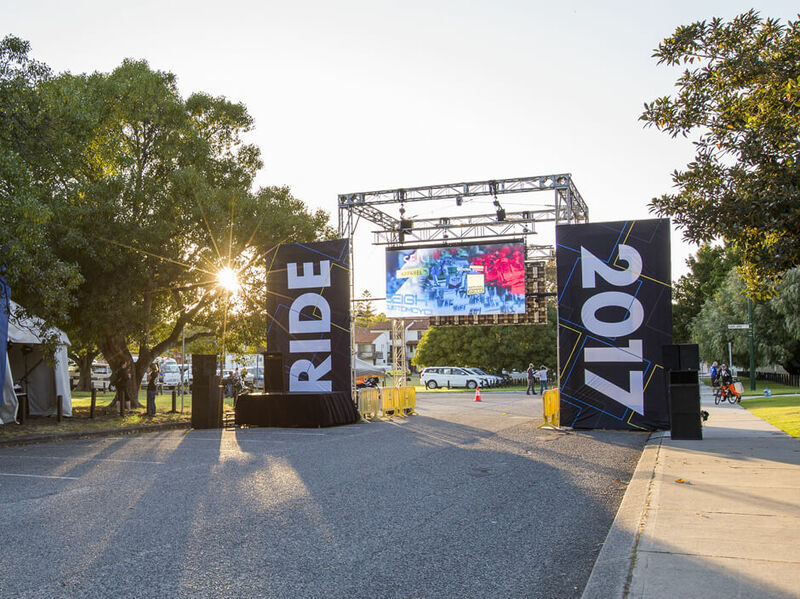 Outdoor events come with their own set of challenges, however with the weather on our side and a great team, we were able to execute a great event, as you can see from the client’s positive feedback.